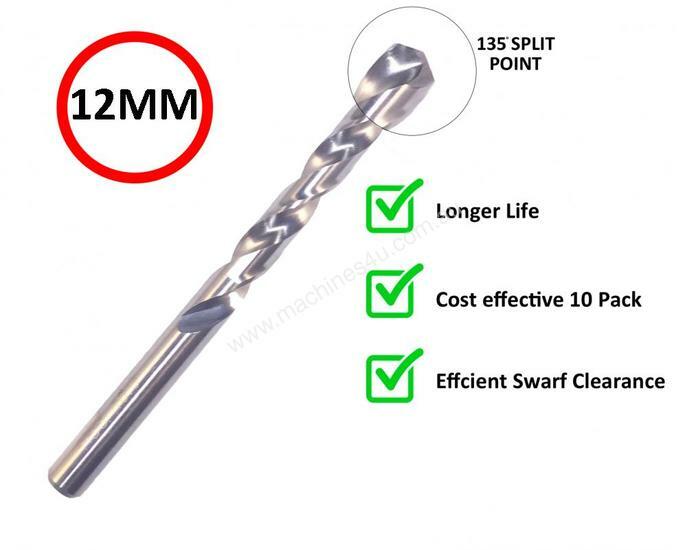 HSS M2 drill bits are fully grounded with 135 degree split point for self starter. Quick and efficient swarf clearance allows clog-free precision drilling. Ideal for use on metals, plastics and wood. Drill in accordance with DIN338 standards.